ESK graduate Devin Badgett is intently pursuing a music career, a passion he developed during his middle school years at ESK. Discovering a lifelong interest during adolescent years while a student at ESK is a common theme among ESK alumni, and Badgett is no exception! Currently a sophomore at Lipscomb University in Nashville, TN, Badgett is studying commercial music. Music has been a constant in Badgett’s life for almost a decade, starting during his educational experience at ESK. While at ESK he formed a band with other students called Subtle Clutch that experienced great local success. During his high school career at Webb School of Knoxville, Badgett continued to refine and expand his musical skills, resulting in the recording of his first solo project, an EP with a folk rock, singer-songwriter feel. 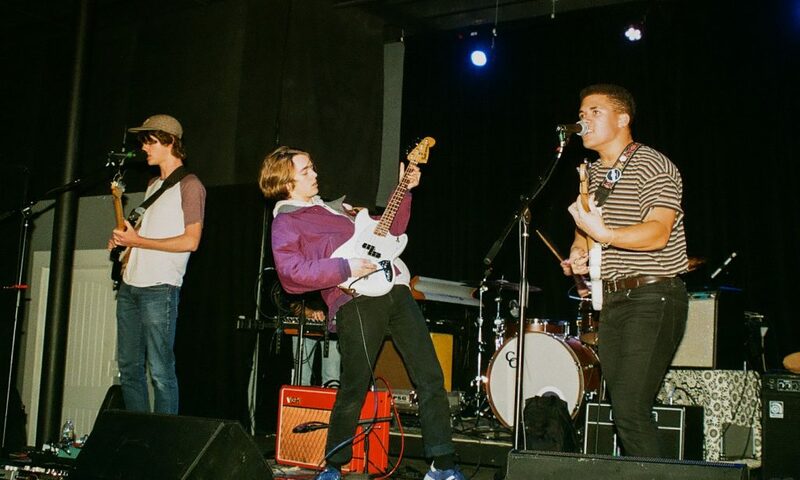 Since arriving in Nashville for college, his punk rock band Vanosdale, which launched his senior year at Webb, has taken off. 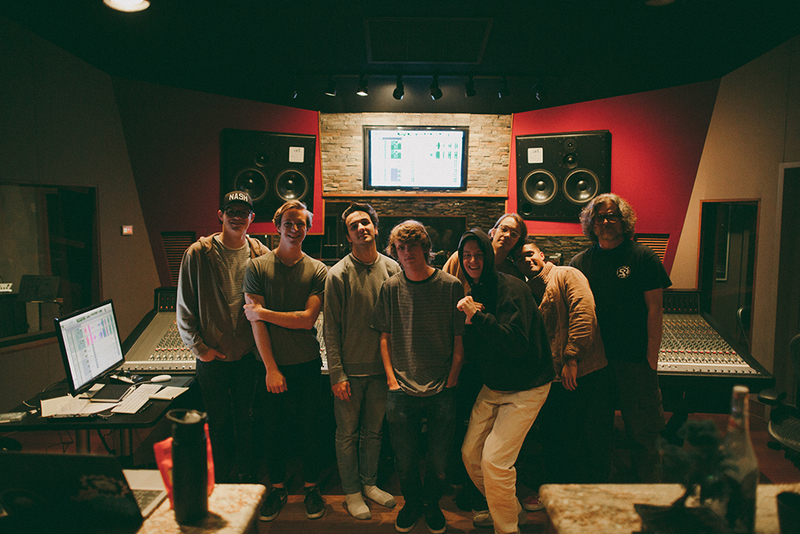 He and his bandmates recently recorded their first studio EP album, and Devin says that when he considers his accomplishments since graduating from ESK, he is most proud of this effort. The record, Sun-Bleach, which will be released in March, has already seen a first single experience success, and the second single, which will come out in February, is sure to be just as popular. In fall 2018, Badgett earned recognition from 6-time Grammy winner Amy Grant. Badgett was chosen to receive the Amy Grant scholarship from Lipscomb University, which honors a musical artist who best displays the characteristics of Christ in his or her music, and strives to share a positive message throughout his or her work. Badgett says he was floored to receive the award because his punk rock band music isn’t a typical choice for the award. Right now, Badgett’s focus centers on Vanosdale, his alternative punk rock experiment that takes its name from a road that is close to his home in Knoxville. Badgett recalls driving past that particular road, pondering ideas, and he wanted the name of his band to reflect that sentiment. Vanosdale hopes to inspire others to pause, work through ideas, and build on their shared experiences. Badgett, who is the lead singer and rhythm guitarist of Vanosdale, also initiates the song writing process within his group. Normally, he brings the bones of a song to the other members of the group, plays it for them, and then together they sonically reconstruct the song, each member adding his own interpretation to the musical collaboration. Badgett is solely responsible for crafting all the lyrics to Vanosdale’s music. Alongside anticipating the release of Vanosdale’s studio EP on March 23rd, 2019, Badgett is set on landing a record deal. The band is focusing on expanding their audience, getting bigger and better bills, and bringing more attention to their band. Recently, Vanosdale played a concert, and the whole band was energized to see the crowd singing along with the lyrics to songs that haven’t even been officially released yet. Feeling the support and enthusiasm of their audience fuels the band’s longing to create meaningful music that connects with their fans. Vanosdale has no shortage of gigs lined up for the near future. When asked, Badgett quickly rattled off 3 or 4 different shows coming up, with gigs in Nashville as well as Knoxville. While he continues to talk with friends who have landed record deals, and meet with producers to find out more about how to break into the industry, he loves playing for a live audience. When asked his favorite place to play, Badgett promptly named the East Room, a laid-back venue in Nashville that has a community vibe and fosters shared experience. ESK figures into Badgett’s career goals and major choice significantly. In Badgett’s words, “ESK fosters a dream-focused community.” The faculty at ESK always asked Badgett about his dreams and goals, and how they could help him achieve his ambitions. This belief in his abilities gave him the courage he needed to keep his hopes from getting squashed by real-life obstacles. In fact, Badgett is now pursuing the arts at a level he isn’t sure he would be if he hadn’t been encouraged by ESK teachers. While at ESK, when Badgett and his classmates expressed more interest in contemporary music, educators rallied to start a string band class that would allow students the space to pursue the type of music that sparked passion in them. Another aspect of ESK Badgett loves is the way students are allowed to be kids. Badgett says a delicate balance exists at ESK between preserving the innocence of students while educating them for success later on. And, Badgett says he loved every minute of middle school at ESK! When asked about a favorite class, PE immediately came to his mind: “I loved PE class with Coach Waller.” He says Coach Waller taught him about what hard work is and what it can get you. Overall, Badgett remembers mostly funny and positive moments from his middle school experience, and remains friends with his middle school buddies even today! Badgett exemplifies ESK alumni in that he has found an interest he is pursuing with total focus. ESK graduates know who they are, and what they love, and aren’t afraid to follow their dreams with abandon. At ESK, we’ll be on the lookout for Vanosdale’s latest release in March, and we can’t wait to see where music takes Devin in the future!